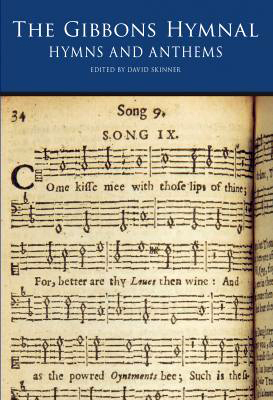 The Gibbons hymnal: Hymns and anthems (London: Novello, 2013) presents the 17 hymn tunes composed by Orlando Gibbons for George Wither’s The hymnes and songs of the church (1623), many of which are still popular today. This is the first modern edition that incorporates Wither’s hymn texts beyond the first verses. Gibbons composed treble and bass lines for the hymns; the editor, David Skinner, has constructed the inner voices to create a collection of pieces that can be performed either as hymns or as simple anthems. Also in this volume are Gibbons’s ten surviving full anthems. Below, Gibbons’s O clap your hands, one of the anthems included in the edition.